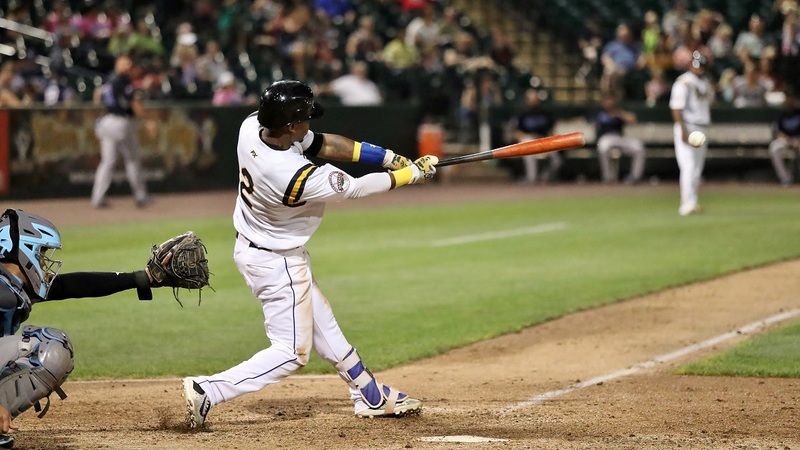 The York Revolution made a handful of roster moves before Friday’s game with Southern Maryland, including re-signing outfielder Alonzo Harris and first baseman Telvin Nash, two key contributors to last season’s championship team. Harris was the Revs’ team MVP in 2017 and earned both Atlantic League Player of the Year and Baseball America’s 2017 Independent Leagues Player of the Year honors. 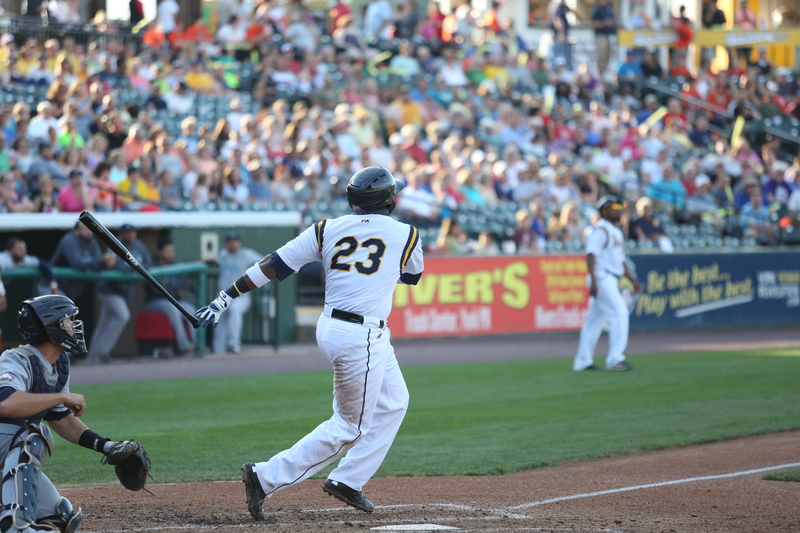 Harris ranked fourth in the Atlantic League in batting (.315), tied for fourth in home runs (23), tied for second in hits (145), third in total bases (244), fifth in extra-base hits (52), and second in slugging (.530) while leading the league with 89 runs scored. The Revs’ leadoff man also stole 31 bases in his 114 games played. In addition to his league rankings, Harris’ single-season totals rank him among the elite in Revs franchise history. His 23 home runs are tied for fourth and were the most by a Rev since 2014, while Harris finished ninth in Revs history in hits, seventh in total bases, tied for seventh in extra-base hits, tied for fifth in slugging, fifth in runs, and tied for fifth in steals. He became the first Revs batter to lead the league in runs scored since 2011. The McComb, MS native also became just the sixth player in Atlantic League history and first since 2009 to hit 20 or more home runs and steal 30 or more bases in the same season. Harris, 29, re-joins the Revs after starting the 2018 season with Los Tigres de Quintana Roo in the Mexican League. He has also previously played in the New York Mets and Miami Marlins organizations. Nash was a force in the middle of the Revs’ lineup in 2017, hitting .282 with 16 home runs and 39 RBIs in 48 games. He made a huge impact in the postseason as well, hitting a walkoff two-run home run in the bottom of the 10th inning in Game 1 of the Atlantic League Division Series against Southern Maryland. Nash followed that feat with a game-winning two-run home run in the bottom of the eighth inning of the Revs’ title-clinching Game 3 win over Long Island in the Atlantic League Championship Series on September 29th at PeoplesBank Park. Nash was named Championship Series co-MVP, tying Revs playoff records with three home runs and eight RBI. Nash belted the 45th and 46th home runs of his Revs career in his first game back on Friday, August 3rd, moving past Scott Grimes into 3rd in franchise history in home runs, in only 166 games since his first stint with York in 2015. He has also totaled 33 doubles, 97 RBIs and 95 walks over his first three seasons in York, and ranks 2nd in franchise history with a .557 slugging percentage and 8th in on-base percentage (.389). Nash, 27, re-joins the Revs after playing for Los Bravos de Leon in the Mexican League to start the 2018 season. The Griffin, GA native was originally a third round draft pick of the Houston Astros in 2009 and has played in the Astros and Chicago White Sox organizations, having had his contract purchased from York by Chicago during the 2016 season. The Revs also added RHP Carl Brice. The hard-throwing 24-year-old joins the Revs from the Empire League where he was 3-3 with a 2.75 ERA in 6 starts. He limited opponents to just 24 hits in 32.2 innings with 19 walks and 40 strike outs. Last season, the Jackson, MS native pitched in the United Shore Professional Baseball League, going 4-2 with 5 saves and a 3.18 ERA in 27 relief outings. York released LHPs Luke Westphal and Josh Blanco. Westphal, a member of last year’s championship team, owned a 3.29 ERA but had struggled of late and had seen his usage decrease. Blanco appeared in three games, allowing six runs in two innings. This entry was posted on August 4, 2018 by blogtoblogchamps. It was filed under Player News, Team News .